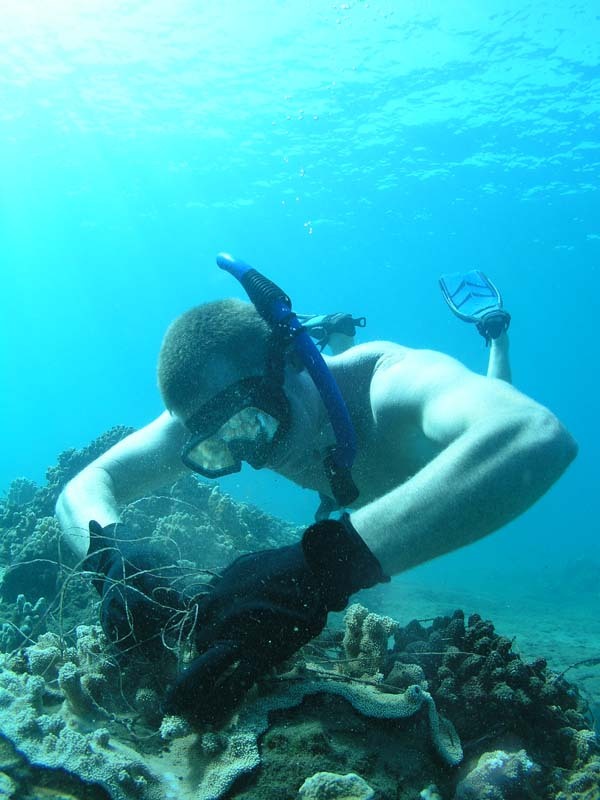 Surfrider Foundation is a national coastal environmental organization with chapters throughout Hawaiʻi and the mainland—click here for links to their chapters on all main Hawaiian Islands. On Maui, Surfrider Foundation works hard to bring its mission to life—preserving beach access, preserving near-shore water quality, and protecting recreational and cultural sites through CARE: Conservation, Activism, Research, and Education. In April, you’ll find them doing this through a number of events, including More Fish in the Sea (4/3), Blue ʻAina Beach-Reef Cleanup (4/11), and Malama the Surf, a benefit at Flatbread Pizza (4/20). The second annual More Fish in the Sea will be a day of family fun, education, and networking focused on the positive action we can all take to improve the health of the sea. Located at Kahului Harbor, on the makai (ocean) side of Cary and Eddie’s Hideaway, the event will feature an ocean film festival, live local music, ono grinds for purchase inside the restaurant, kuleana/education booths, water quality testing lessons, reef surveys, and the Malama i Ke Kai Kupuna award, honoring Uncle Mac PoePoe of Hui Malama O Moʻomomi, and Uncle Mervin Dudoit of Ka Honua Momona. For details, please visit www.morefishhawaii.com. To learn more about what Surfrider Foundation is doing on Maui, go to their website, or check back here weekly in April for details on upcoming events . . .